Çanakkale in the Gallipoli region of Turkey has witnessed many bloody battles throughout its chaotic history, from the Achaemenid era to the battle for Troy and the story of the Trojan horse all the way through thosuands of years of history to then, the battle of Gallipoli, which took place only a century ago. 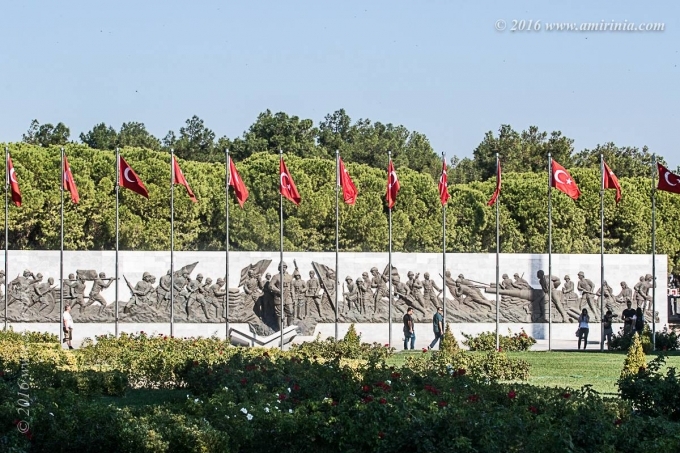 The graveyards of the Turkish and Allied soldiers have not been forgotten. and it is interesting to see how the story of the triumph and defeat is still alive. The cemeteries of dead soldiers have become green parks, laid across the unspoiled landscapes of the Gallipoli Peninsula, and all within green forests full of pine trees, edged with wild shrubs and olive woods, along the beautiful beaches of the Aegean coasts. The effects of the war has influenced all small fishing villages in the region and changed the life of local people forever.